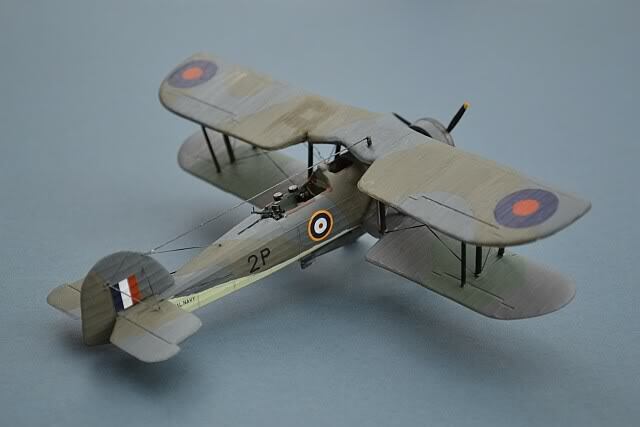 The new-mould Airfix Swordfish really is a fantastic model, accurate, finely moulded and relatively easy to build. 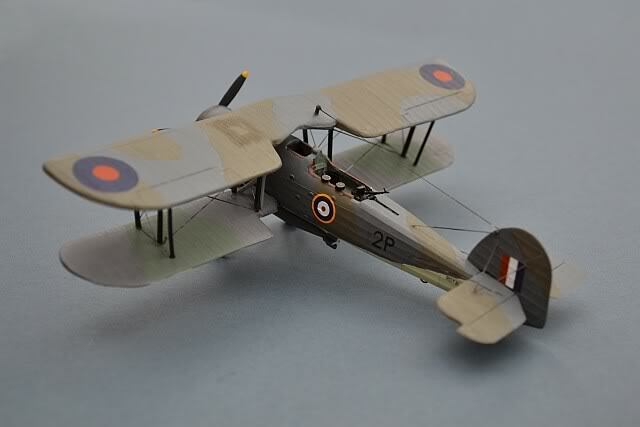 The aircraft represented by this model flew with 820 Sqn from HMS COURAGEOUS and from ashore at RAF North Coates, until the squadron was re-assigned to HMS ARK ROYAL at the end of 1939. Fairey Swordfish Mk.1, 815 Sqn Fleet Air Arm, HMS ILLUSTRIOUS, Taranto, November 1940. 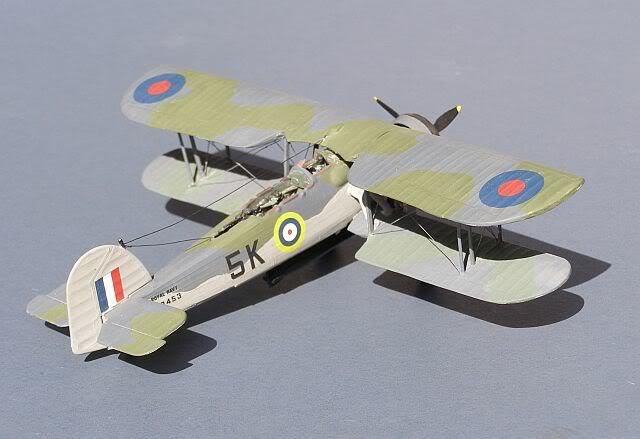 The Swordfish is another unsung Matchbox biplane gem, currently available from Revell and seen here with Aeromaster after-market decals. Far better than the Airfix kit, it can certainly hold its own with the Frog version. Standfast the rigging, it is an easy build, let down only by the very sparse cockpit. As supplied, it comes with the radar fit in the Observer's position to reflect a Mk III, but I have built this up to represent the long range tanks. 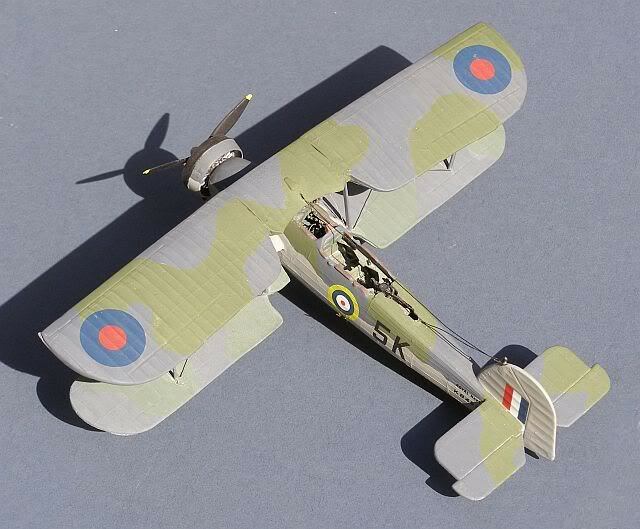 This model represents the aircraft flown at Taranto by the CO of 815 Sqn, Lt Cdr K Williamson DSO, with Observer NJ "Blood" Scarlett RN. Williamson led the first attack wave, sinking the Battleship Conte de Cavour. 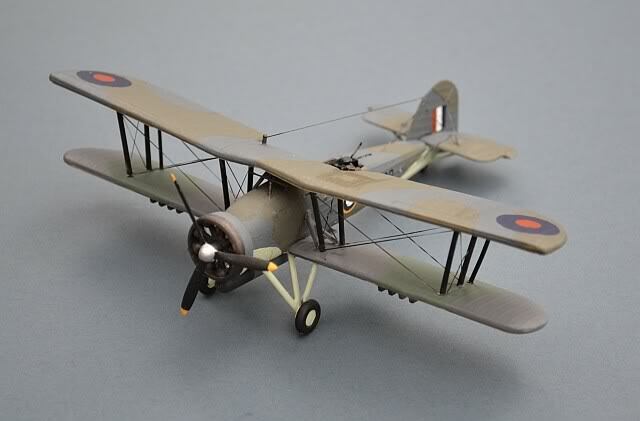 Although the Swordfish normally carried a crew of 3, Pilot, Observer and Telegraphist Air Gunner (TAG), for this long range raid, the Observer's normal position was occupied by an auxiliary fuel tank and the TAG was not carried. Fairey Swordfish Mk.II, 810 Sqn Fleet Air Arm, HMS ARK ROYAL, 26 May 1941. 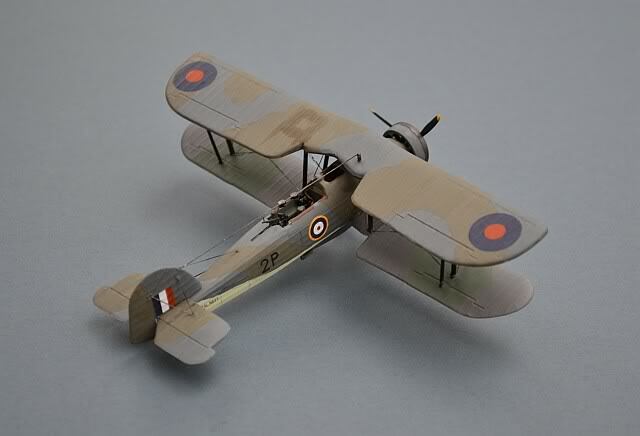 The old Airfix Swordfish is well past its sell-by date, and the new tooling at the top of this page eclipses it totally. 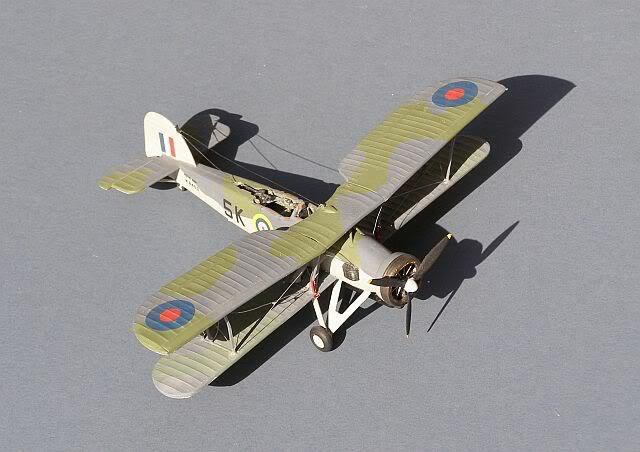 However, it's really not that much worse than the other contemporary 1/72 Swordfish kits (FROG & Matchbox). This is the 2009 Airfix Club issue, which came with a nice set of decals for one of 810 Sqns aircraft, plus a second set for the scheme currently worn by one of the RN Historic Flight aircraft (HMS RAIPANA in 1943). In May 1941, after the devastating shock loss of HMS HOOD during the Battle of the Denmark Strait, the honour and spirit of the Royal Navy depended on the rapid destruction of the German surface raider BISMARCK. The entire Home Fleet, plus the Gibraltar based Force H were deployed to stop BISMARCK reaching the safety of a French port. An initial attack in atrocious weather by Swordfish from HMS VICTORIOUS was ineffective, but a follow-on strike the next day by a large force from HMS ARK ROYAL jammed the BISMARCK's rudder, making her unmaneouverable and allowing the British Fleet to catch her and deliver the fatal blow. 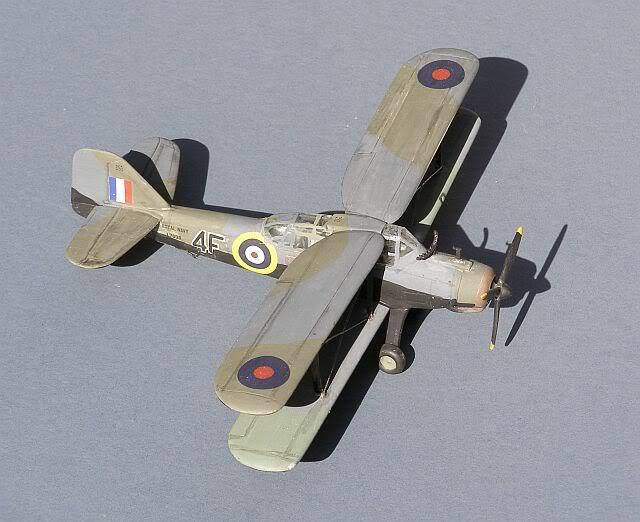 The aircraft represented by this model was flown by Sub Lieutenant AWD Beale, with Observer SLt C Friend and TAG L/A K Pimlott, during the critical final action against the BISMARCK on 26 May 1941. Beale became disorientated in the poor visibility and flew back to the shadowing cruiser HMS SUFFOLK for directions. As a result he approached the BISMARCK from a different direction from the other ships, registering a torpedo hit amidships. 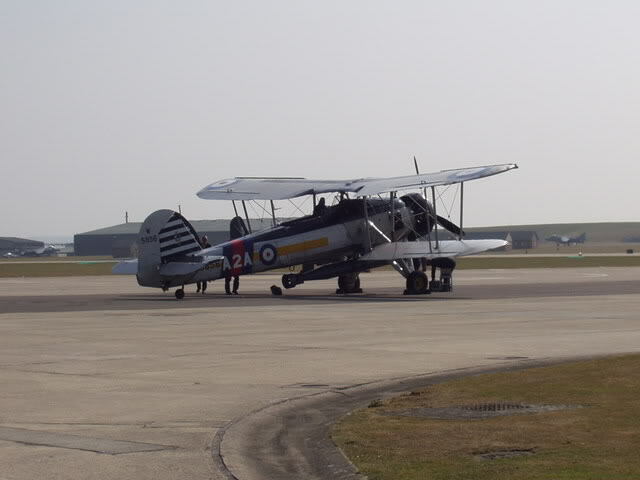 Fairey Swordfish TSR2 - 818 Sqn, HMS ARK ROYAL 1940. This is the MPM enhanced kit, with Cooperativa (ex-Frog) kit, resin and photo-etch parts. Decals in the kit are a (miscoloured) copy of the original Frog ones. These are my own markings, from the spares box (some original Frog!). Rigging was fuse wire. I now know that Lycra is much better and doesn't sag ! 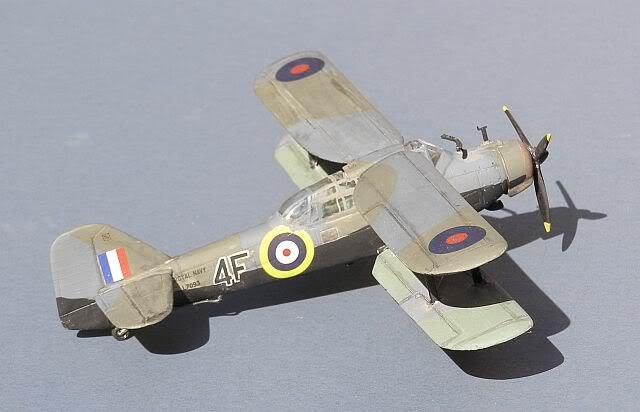 The inspiration for this model, was Cdr Charles Lamb's astonishing autobiography "War In A Stringbag" which I thoroughly recommend. Lt Cdr Eugene Esmonde VC DSO RN, was posthumously awarded the Victoria Cross (VC) for leading a desperate attack in a Swordfish aircraft of 825 Naval Air Squadron. Esmonde and his men knew that most of them would die before they took off; yet still they went. "On 12 February 1942 in the Straits of Dover, off England, Lieutenant Commander Esmonde led his squadron of six Swordfish to the attack of two German battle cruisers the Scharnhorst and the cruiser Prinz Eugen, which were entering the Straits strongly escorted by surface craft. Detached from their escorting fighters (just 10 in number) by enemy fighters, all the aircraft of the squadron were damaged, but even after Lieutenant-Commander Esmonde's plane sustained a direct hit he still continued the run-in towards his target until it burst into flames and crashed into the sea. The squadron went on to launch a gallant attack, but none of the six aircraft returned". Fairey Albacore - 826 Sqn Dekhelia/Western Desert,1941. Pegasus manufactured a range of interesting and unusual short run kits in the 1980s. The Albacore builds into a nice replica, but it is not one for the beginner. 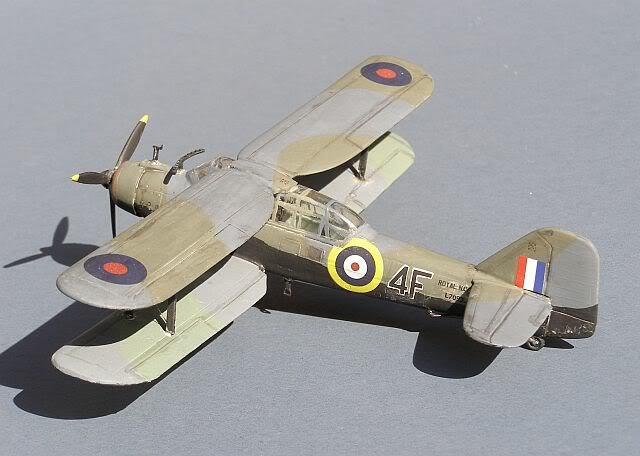 Kit decals are excellent, however in this case I had just finished reading Lt Cdr Donald Judd's autobiography, "Avenger From the Sky", so was determined to do one of 826's western desert based aircraft with Black undersides. The Albacore was intended as a replacement for the venerable Swordfish, but in the end its predecessor outlived it. Nevertheless, it was a reliable and popular aircraft, that achieved notable success in many roles. This was especially true over the Mediterranean and in the Western Desert, where RN Pilots provided close support and Strike missions for the 7th Armoured Division/Desert Rats, operating against Italian and German forces.